Opinion in the tech industry is fairly evenly divided between “blockchain is the future” and “blockchain is a scam”, so what’s all the buzz about blockchain ticketing? We headed to Softjourn’s talk at TPC 2018 to find out more. At the moment, whenever money changes hands online, the transaction needs to be approved by a third party – usually a bank. Blockchain is a way for consumers and suppliers to connect directly, without the need for a middleman to approve the transaction. 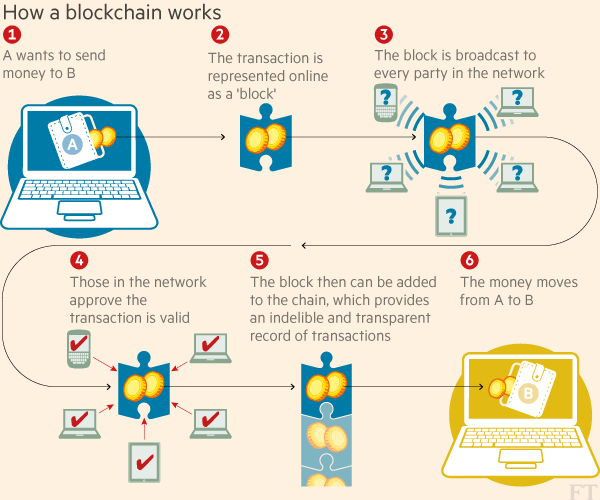 Essentially, it’s a digital ledger – or, in more technical terms, a decentralised database – of transactions that everyone can see. How could the blockchain work for ticketing? Adding support for the use of cryptocurrencies, such as Bitcoin, in box office platforms. Making tickets into blockchain assets that can be purchased. Rewarding customers with blockchain assets that can be traded in with a venue. Support for cryptocurrency in online box offices will most likely happen organically once more people can access and use it. It’s more a question of how soon that will happen than whether it will happen at all – and how many developers are willing to take on the sluggishness and complexity of a cryptocurrency transaction as early adopters. “No downtime”, in theory, simplifies the purchasing process. “No fraud” is music to the ears of pretty much everyone in the industry. “No third-party interference” offers distributors much more control over the secondary market. Whatever digital asset you’re selling, the blockchain offers an exciting level of potential. The technology isn’t mature. Andreas M. Antonopoulos, author of Mastering Bitcoin and The Internet of Money, compares the current state of the blockchain to the Internet circa 1990, where email’s just arrived and the web doesn’t really exist yet. Before smart contracts can be useful, they’ll need to be a whole lot better established and more widely accessible. It’s very slow. In cryptocurrency, new blockchain assets need to be mined using a series of calculations that take ten minutes and an enormous amount of processing power to execute. And that’s before you even transfer the asset! At the moment, the average Bitcoin transaction can take upwards of an hour to complete, whereas regular purchases take a fraction of a second. It’s expensive to implement in terms of both development and practical costs. It seems unlikely that ticketing would be as resource-intensive as mining for cryptocurrency, because there’s a limit on how many tickets need to be produced at any one time. Even so, the potential impact of large-scale events on the environment (and the venue’s electricity bill) definitely needs to be taken into consideration – especially if links to cryptocurrency do become established. Anonymous, unforgeable “blocks” of any type of data carry their own particular risks. In March 2018, the Guardian reported that the Bitcoin ledger contains links to 247 images of child abuse. This is unlikely to affect people who are only spending, but anyone who’s downloaded the full ledger to perform complex operations like mining could face prosecution in the countries that have embraced the currency most enthusiastically. In theory, it should be easy to enable the secondary market without giving any reward or incentive to scalpers, but there’d need to be an intensive, industry-wide discussion about how this can be done in a way that can benefit any type of venue or event. There’s also the question of verifying identity when near-total anonymity is what makes blockchain transactions attractive to so many people. Is Monad implementing blockchain ticketing? As you’ve come to expect, we’re keen to stay abreast of developments that show this much potential, so we’ll certainly be following the progress of blockchain ticketing closely. But we also take the issues above very seriously, and we want to see a lot of progress towards their resolution before we start implementing this technology and offering it to our customers. So, the short answer is “not yet”. We never say never, but the safety and long-term viability of our customers’ businesses takes priority. At the moment, existing blockchain technology seems like too much of a compromise.